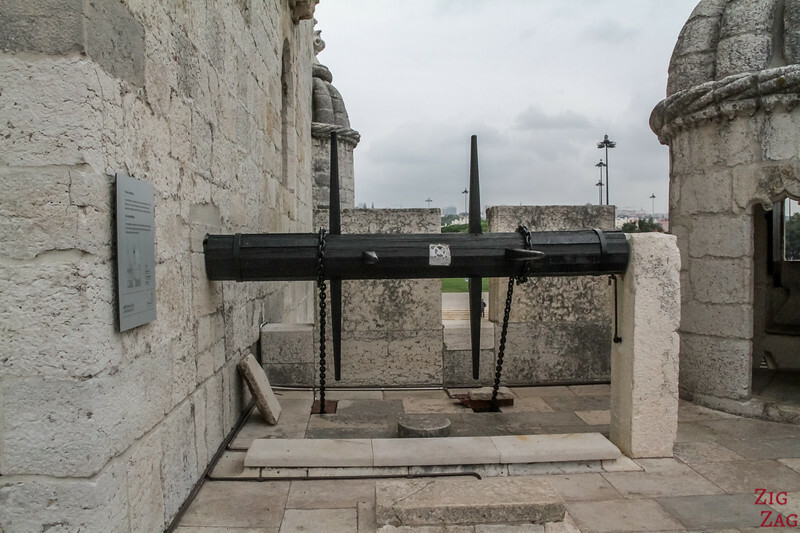 The Belem Tower Lisbon is one of the most iconic sites in the city and one of the most famous Unesco sites in Portugal in combination with the Jeronimos Monastery. 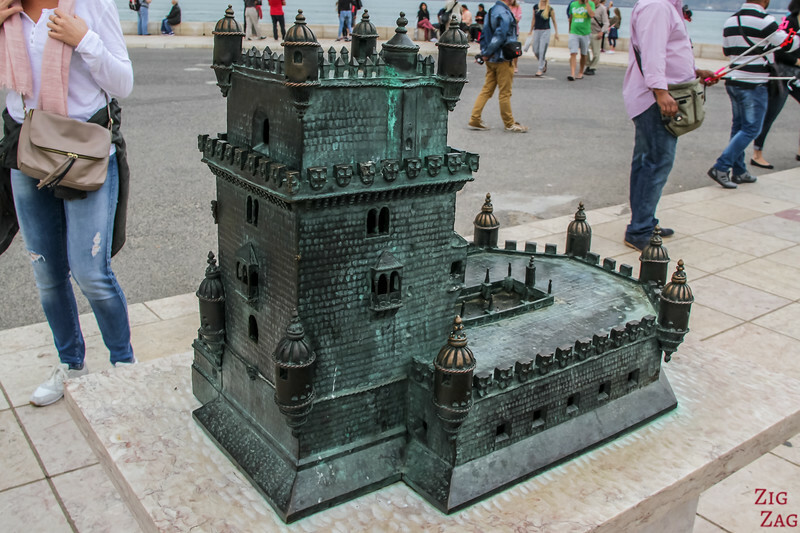 Discover this fortified tower protecting Lisbon in video and photos. From the outside, the tower is beautiful. You can admire it from many angles. 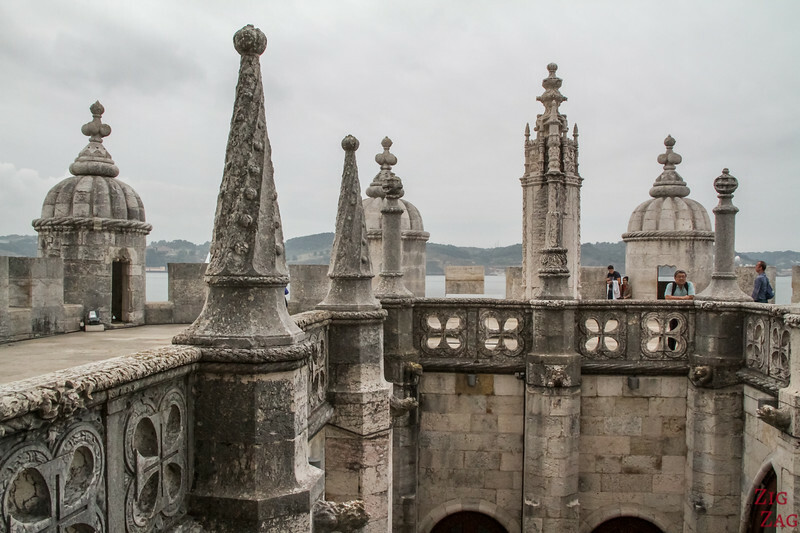 Its architecture is square and of Manueline style with hints of other architecture styles. For example, its watch towers capped with ribbed cupolas inspired by Islamic architecture. 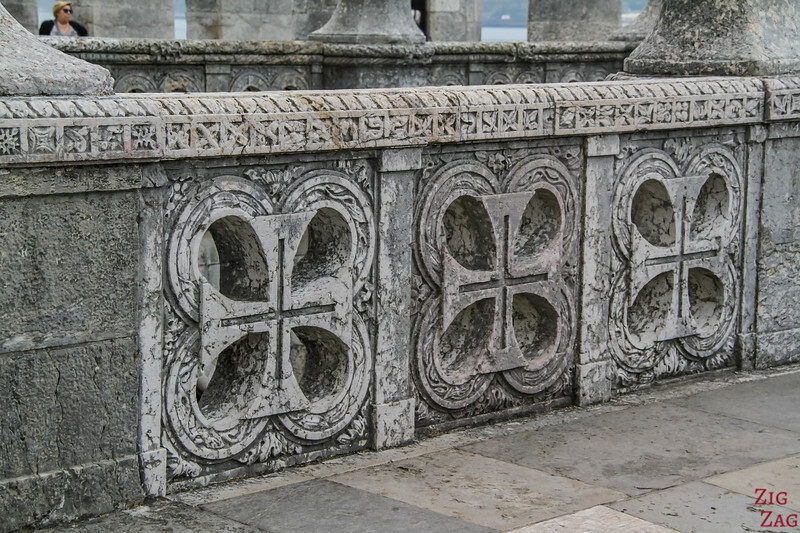 The cross of the Knights of Christ on many walls of this fortress. Let's continue with a short video of my visit. There was a lot of waiting which you don't see here... 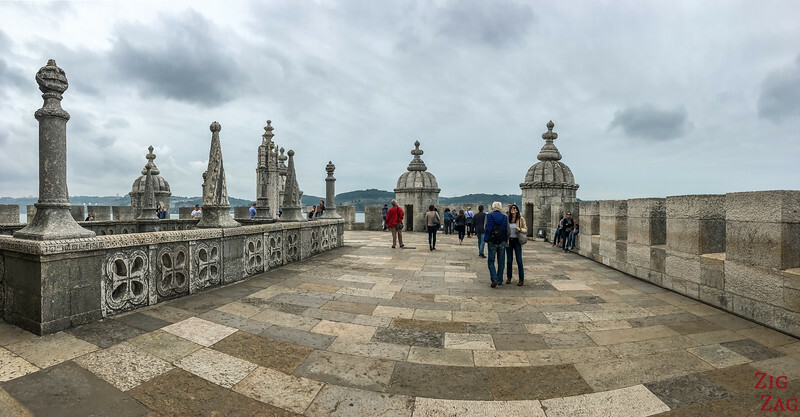 Sadly the weather was not on my side but you still get an idea of what it is like to visit the Belem Tower Lisbon. 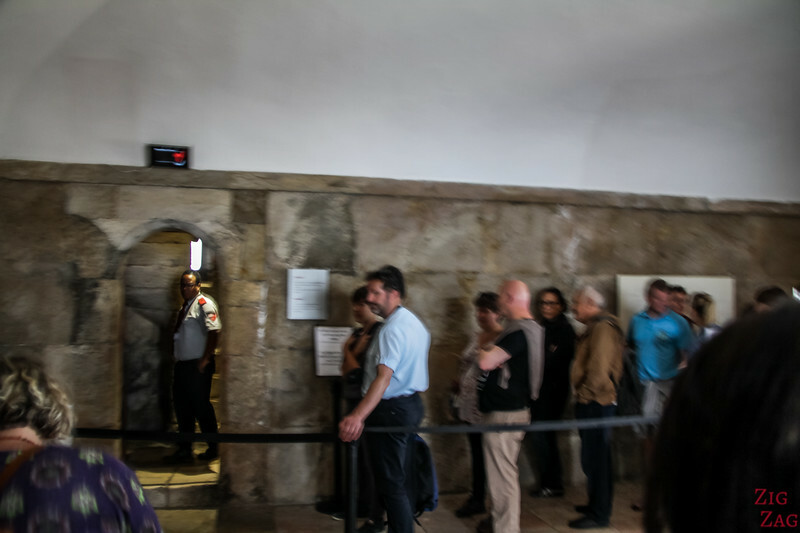 Considering the time to queue, the quality of the view and what there is to see inside, I think it is not worth visiting it. 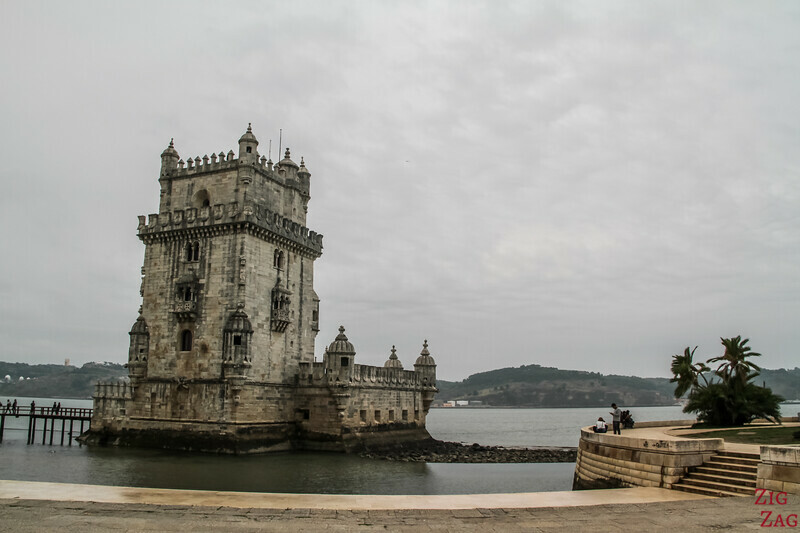 However I recommend stopping there to admire the tower of Belem from the outside and appreciate the location. 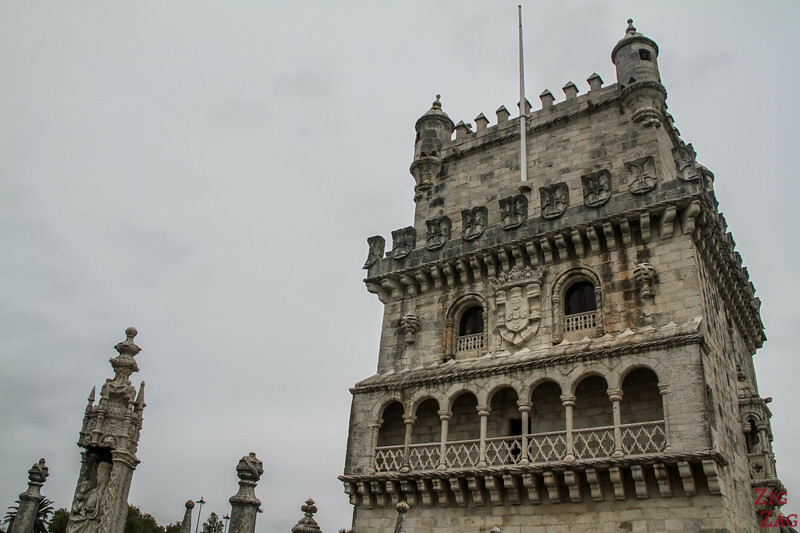 It is an iconic location in the country, and often part of one week Portugal itinerary suggestions. 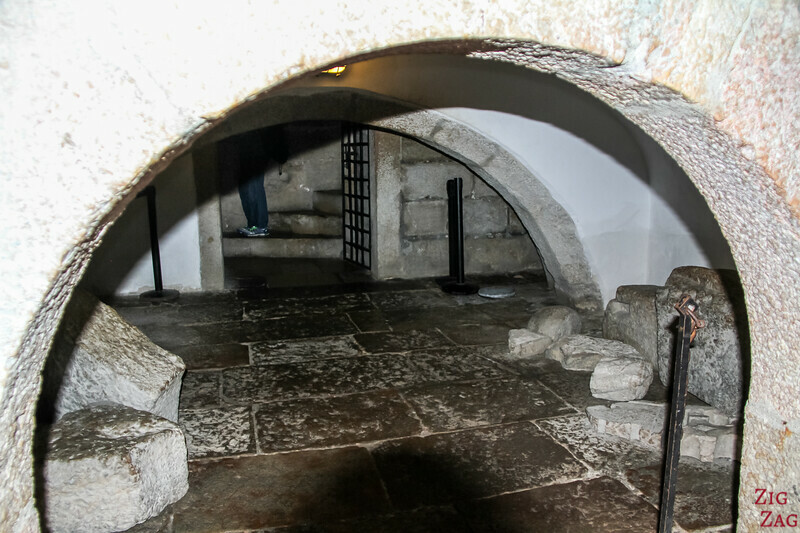 Once you are able to entre the tower of Belem Lisbon, you first discover the ground floor with the upper battery. 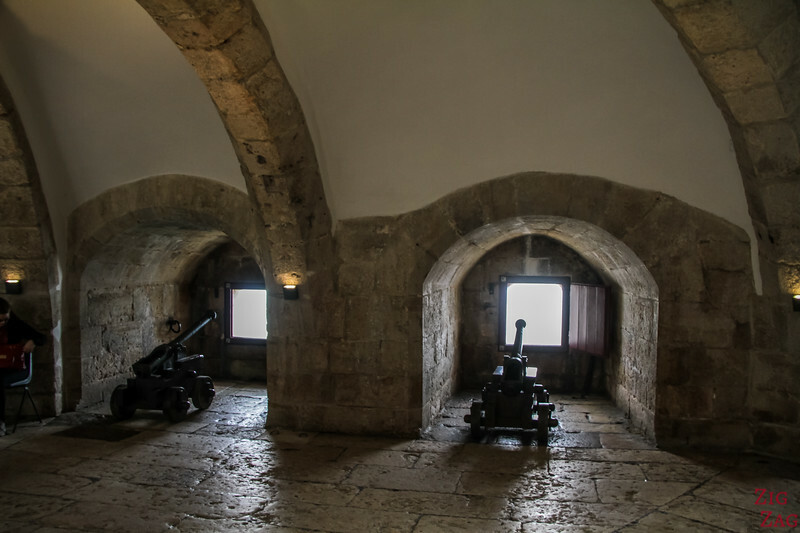 Several canons are on display. 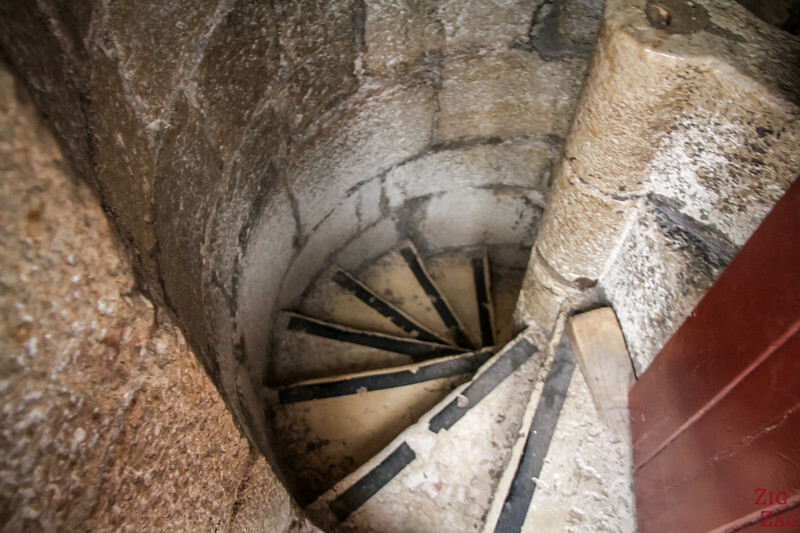 You can get down a staircase to the Lower Battery. With very low ceiling you will have to squat and there is not much to see.. 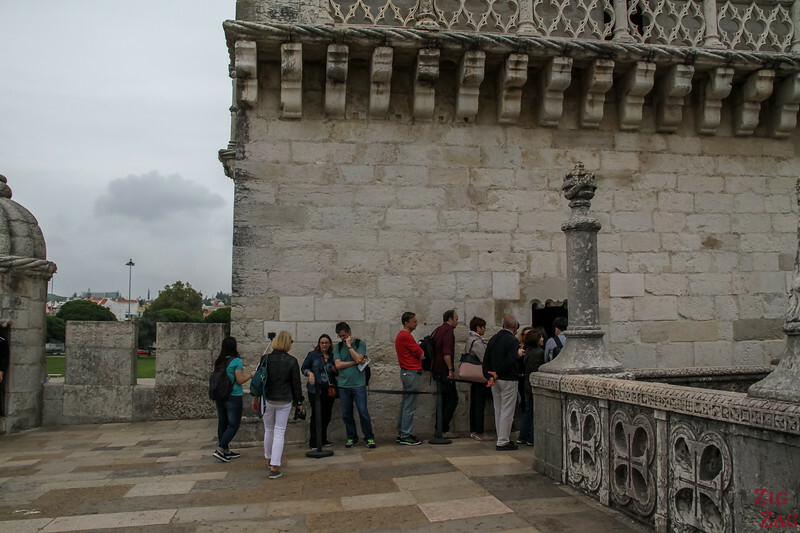 The best part of the visit of the Belem Tower is the first level. This is where you can appreciate the decor the most. You can see up-close the top of the tower and really appreciate the details in the building. 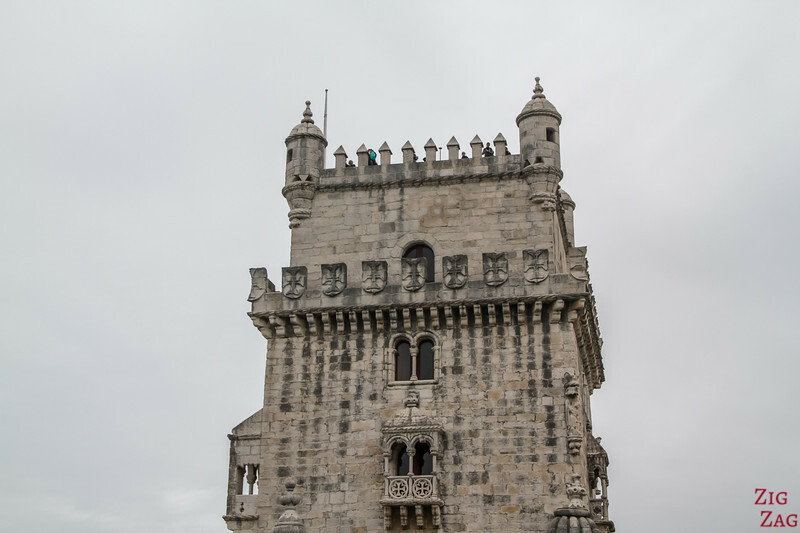 The tower is really not that big but it is one of the most famous touristic sites in Lisbon. So it is always busy. I was lucky not to be there on a weekend or in Summer and I wals already frustrated. 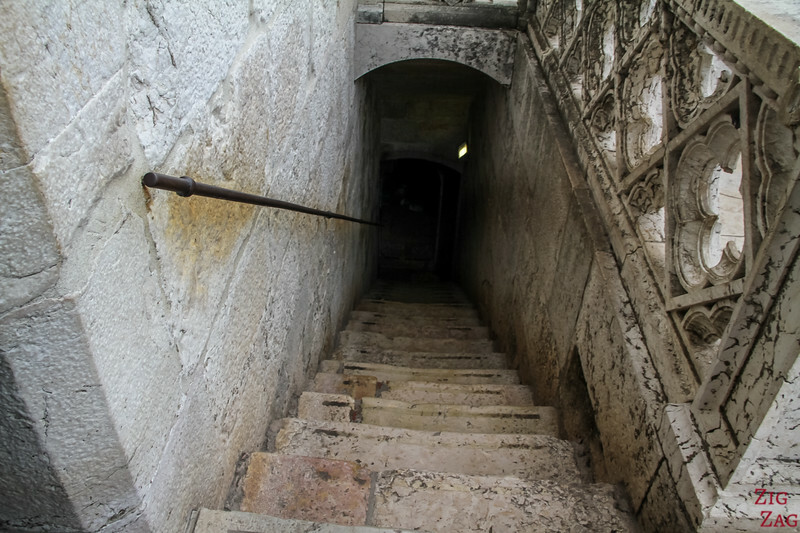 The staircases are narrow which means crossing people is a problem. Hence the queueing also inside. 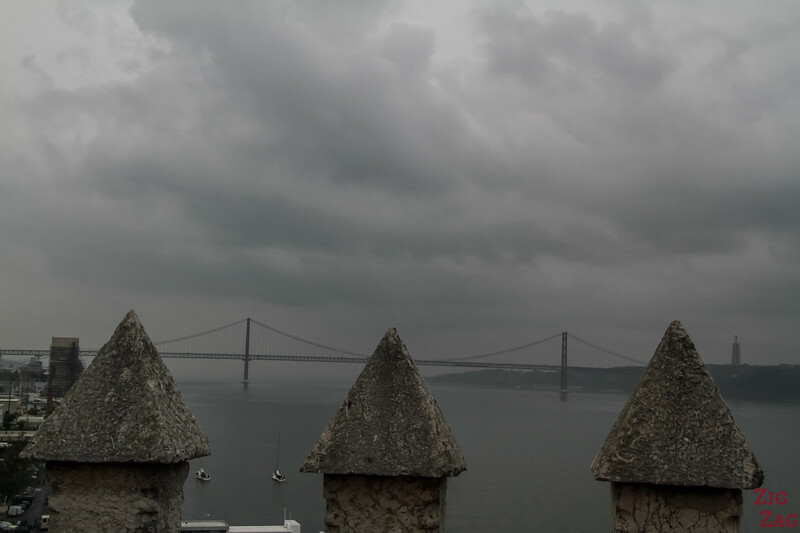 From the top, you have a good view of the Tagus river and the 25th April Bridge. 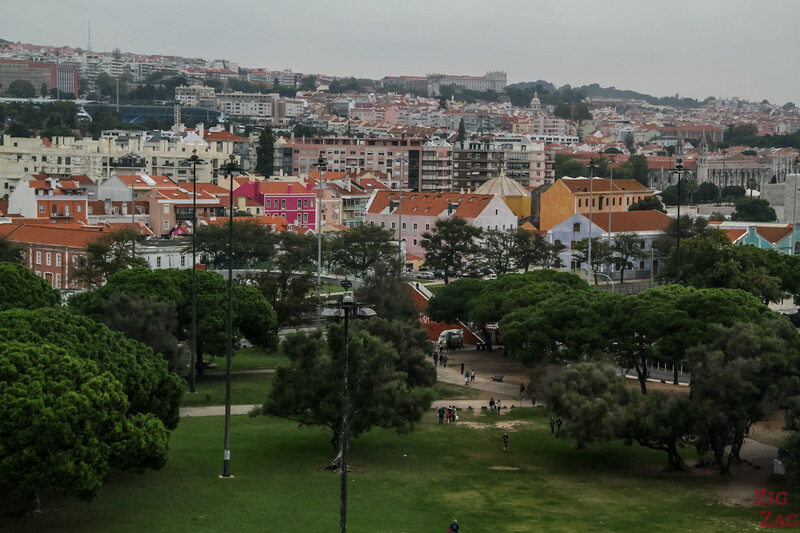 You can also see the Belem neighborhood and its colorful buildings. 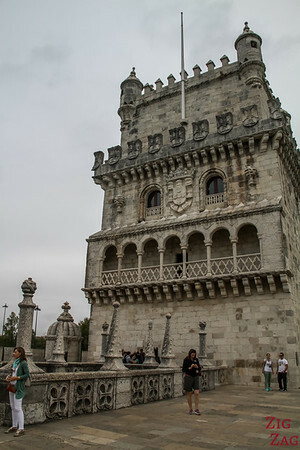 But is is not in the Lisbon city center so you don't get the amazing views like those of the Lisbon Castle or Santa Justa Lift. Not far from the entrance you can see the Replica at 1:50 scale. 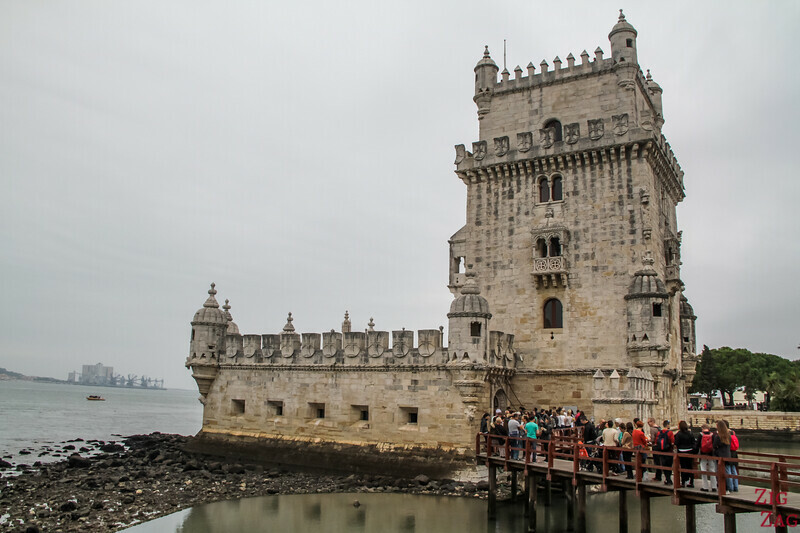 Was created to help the visually impaired to capture the architecture of the Belem Tower. I am so glad I learned so much about this tower! Great and educational post, Claire!